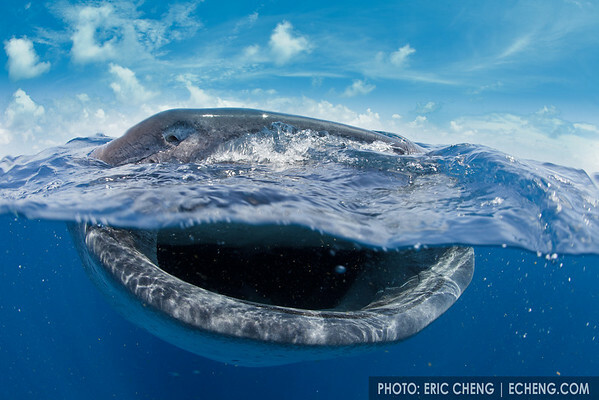 A whale shark (Rhincodon typus) feeds on bonito eggs at the surface. Split image. Isla Mujeres, Mexico.